Young Sybel, the heiress of powerful wizards, needs the company of no-one outside her gates. In her exquisite stone mansion, she is attended by exotic, magical beasts: Riddle-master Cyrin the boar; the treasure-starved dragon Gyld; Gules the Lyon, tawny master of the Southern Deserts; Ter, the fiercely vengeful falcon; Moriah, feline Lady of the Night. Sybel only lacks the exquisite and mysterious Liralen, which continues to elude her most powerful enchantments. But when a soldier bearing an infant arrives, Sybel discovers that the world of man and magic is full of both love and deceit, and the possibility of more power than she can possibly imagine. Patricia A. McKillip is the beloved author of twenty-seven fantasy novels, including The Riddle-Master of Hed, Harpist in the Wind, Ombria in Shadow, Solstice Wood, and The Sorceress and the Cygnet. 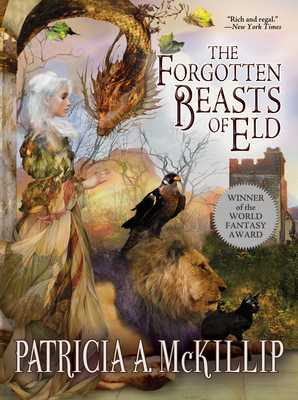 She received the inaugural World Fantasy Award for The Forgotten Beasts of Eld and later received the World Fantasy lifetime achievement award. She is also a three-time Mythopoeic Award winner. She recently published the novel Kingfisher and the collection Dreams of Distant Shores. McKillip lives in Oregon. Internationally-bestselling author Gail Carriger's debut novel, Soulless, won the ALA's Alex Award. Her wildly popular steampunk Parasolverse contains multiple series including the Parasol Protectorate, which was also published as a graphic novel. Carriger has received the Steampunk Chronicle's Reader's Choice YA Award, the Prix Julia Verlanger, the Elbakin Award, and a Starburner Award in Literature. Her novels have been published in eighteen languages and made the New York Times list thirteen times. She lives in California.